The Ford Expedition has been around since the late 1990s, and despite an overhaul for 2003, the company itself characterizes this all-new model as only the second generation of its biggest SUV. 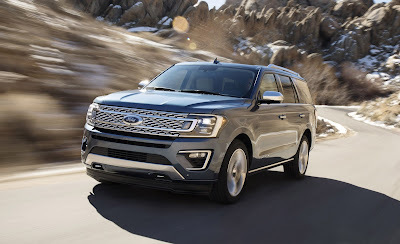 No matter how you count the versions, the Expedition’s revamp is long overdue, and it brings wholesale changes that are significant. Like its pickup sibling, the Ford F-150, the 2018 Expedition has switched to an aluminum-intensive architecture for weight reduction. With its aluminum body panels attached to a redesigned steel frame, the new vehicle is said to be up to 300 pounds lighter than the outgoing model. And yet the Expedition is bigger—the 2018 short-wheelbase version is four inches longer than before, while the extended-wheelbase Expedition L is one inch longer than the previous model.